This is one of those questions that I find a lot in forums relative to Surface RT and Surface 2. The beginning of the procedure is the same as in a regular desktop, you open the Control Panel, Device and Printers, add a printer and here is where the real fun begins. In my case, I want to add a HP Deskjet 6800 WiFi network printer. 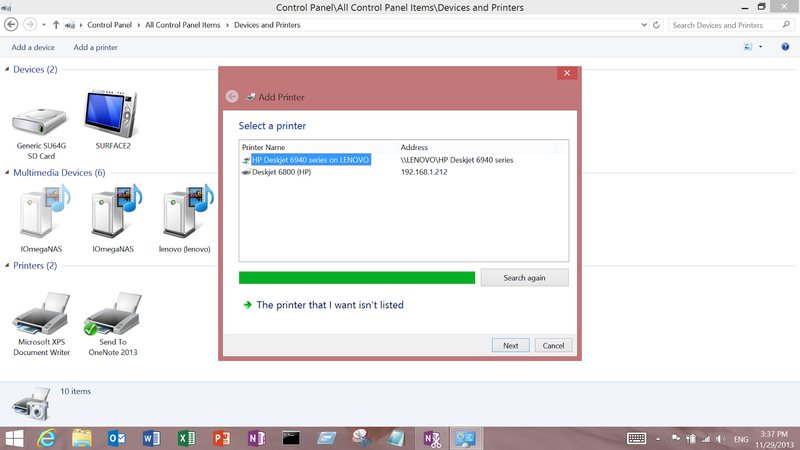 The Surface detects the printer and the shared installation in my Lenovo Desktop. 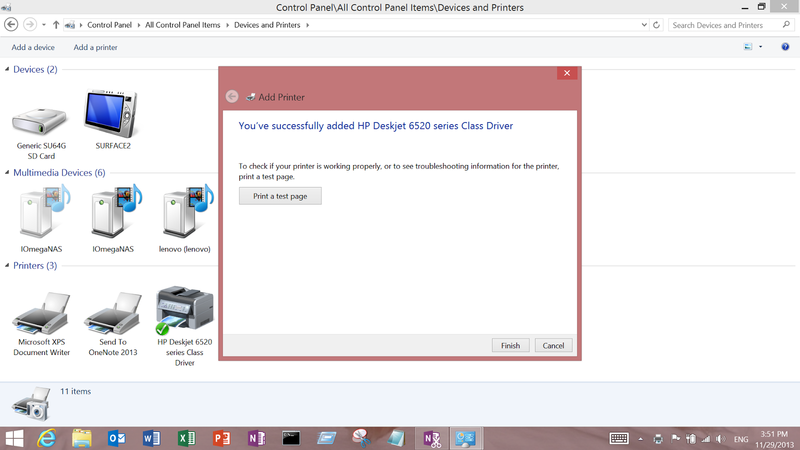 The printer driver is not found and I have to pick the closest to my printer the HP Deskjet 6800 which in my case is the HP Deskjet 6520. To be sure that I picked a model close enough to the one I have, I do a Google search for that model. Just by looking at the picture you can have an idea of how close is that one to the one that you own. 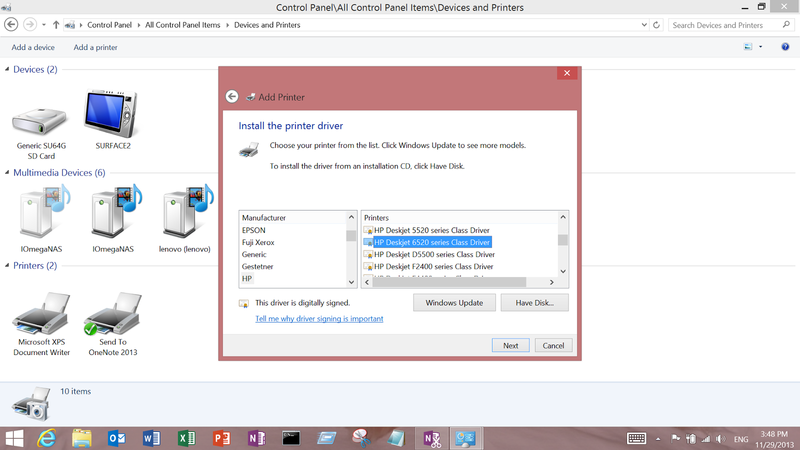 If they look similar you can pick that one and install the driver. Click on Print the Test Page and you should be getting your confirmation that your printer is ready. I don't know anything about the owner or owners. I found it accidentally about a year ago and during this year the forum has grown to be one of the biggest community all about the Surfaces. What attracts me to this one is that no all the threads carry the negativity found at answers.Microsoft.com where everything is about issues and problems. It's not that at surfaceforums.net you won't find people reporting issues but you also find people reporting and sometime bragging about the good things they enjoy from Surfaces. And that gives you a break. Any other good forum out there? 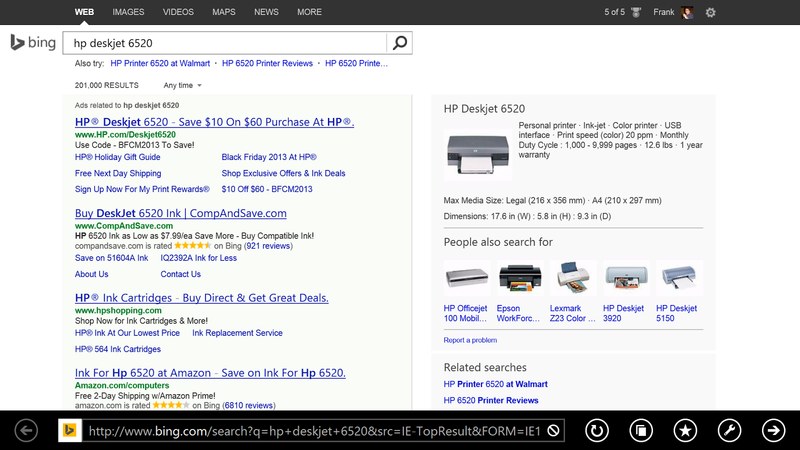 You can win 1 of 4 prices it you win the contest announced at Surface Blog. Are you geeking out with Surface? Tweet us your unique Surface scenario with #geekoutsurface from November 18 & 20 for your chance to win* 1 of 4 Surface prize packs – there will be bonus points for pictures and videos . Watch for a post on the @Surface Twitter account at 10:00 am PT on November 18, 2013 that will kick this off – we’ll then begin taking your responses until 11:59 pm PT on November 20, 2013. 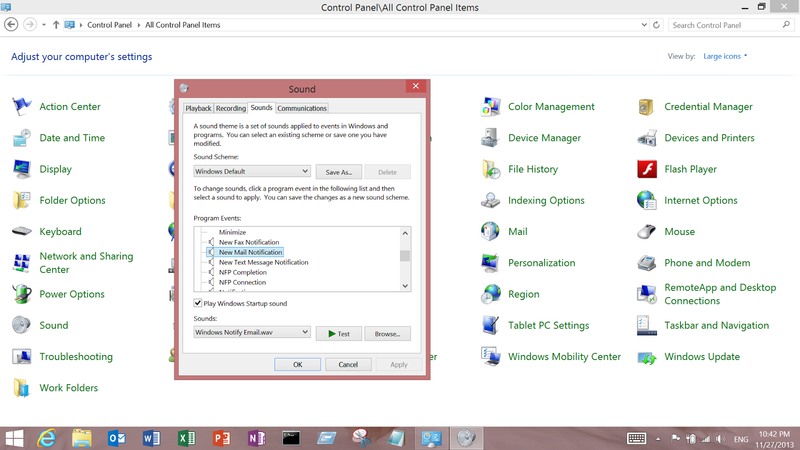 A huge update was released today for Surface RT, Surface 2 and Surface PRO. The Surface PRO 2 was left behind this time. One point that impressed me was the more than 100 MBs of this patch on the Surface 2 and the amount of drivers changes coming from NVIDIA. A sign to Microsoft that clearly ask to increase the quality control in the software coming from this company.